Ian Christmas, David Cullingford, Charles Hooper, John Houghton, Richard Hughes, John Newman, Barry Smith, Ian Thornton, Jim Hardy. Jonathan Orr, Chris Richards, Charles Robson, Keith Saunderson, Geoffrey Scrutton, Richard Seaton, Peter Stamer, Simon Stoye, Andrew Sumner, Ian Whitelaw. 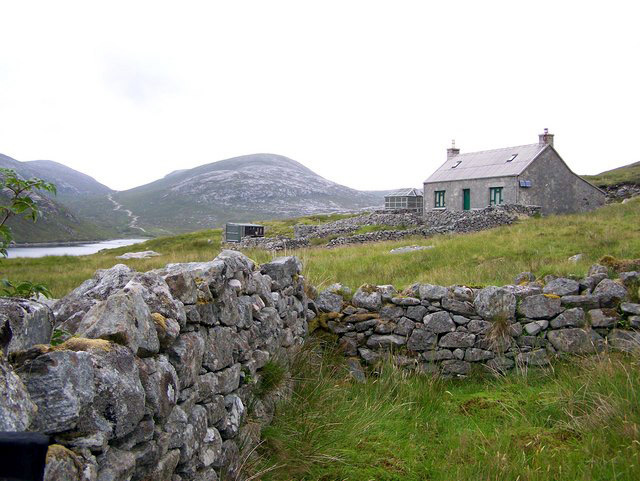 During the past six years the Society has visited many of the most beautiful and remote parts of the Hebrides and this year's expedition to Aird Bheag was in the best tradition of previous years. 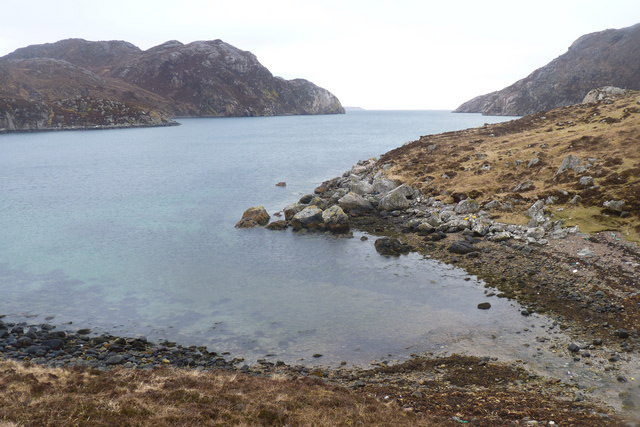 On the West coast of Lewis, a couple of miles north of Loch Resort, is the small, well sheltered Loch Tamanavay. With the rugged glaciated Uig hills to the North and miles of undulating damp moorland to the East, the loch is about as far removed from twentieth century culture as is possible in the British Isles. 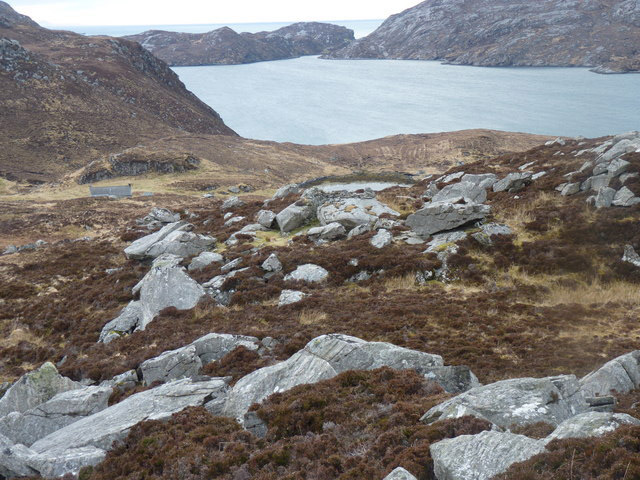 On a sheltered, level piece of ground a hundred feet or so above sea level on the southern side of the loch is the old crofting village of Aird Bheag. All that remains is one substantial croft house, a number of roofless ruins and a well surfaced track leading down to the two stone "jetties" that served as the harbour. This was the site finally chosen by the reconnaissance parties in March of this year. On a bitterly cold day with the wind blowing a full gale and with intermittent snow showers, we had reached this desolate spot after an eleven mile walk across the moors. It took a great deal of imagination and blind faith that day to envisage this as an expedition site as, wet to the skins, we fumbled with numb fingers to light a primus. White horses chased each other across the loch, battering themselves to pieces against mist-shrouded cliffs and only the solidity of the croft house assured us that it was possible for humans to live here. How different all this seemed when we arrived in July. The sea was still so rough that only a skeleton crew of four could travel with the equipment on board the "Reliant" from Kirkibost, North Bernera, experiencing most unpleasant conditions off Gallan Head. The remaining thirty five of us hiked across the moors from Mors-gail on a gusty but fine morning, and arrived at Aird Bheag only fifteen minutes after the "Reliant". With the aid of the dinghies the seven tons of food, tents, personal kit and general equipment were ferried across to the little jetty. For three hours people toiled up this track with seemingly endless loads which they deposited in front of the cottage. As soon as the first tents arrived one section proceeded to erect those in predetermined spots. No sooner had the "Reliant" begun to unload than a message was sent out from shore that the next load should contain all the items necessary for making tea! This was quickly complied with and within an hour of arrival an abundant supply of tea was being served to everyone. We were too busy to notice the departure of the boat that afternoon as everyone worked with a will to get the camp well established for the night. Although much still remained to do on the morrow, work stopped at eight o'clock that evening and a hot and very welcome meal was provided by the cooking section. During the following days as parties went out, first to collect driftwood, and then on a diversity of activities, we began to appreciate what an excellent site this was. Within a very short distance of the camp were a variety of climbs of differing grades which were well used by the climbing fraternity. The loch, being reasonably sheltered, enabled maximum use to be made of the boats—the Aird Bheag Navy possessing the two dinghies "Rock Bottom" and "May", two canoes and a rubber dinghy. Under Ian Christmas an excellent job was made of teaching everyone how to handle boats as well as providing invaluable ferry services for parties working in the Uig hills. In the centre of the picture is a man made structure incorporating existing large boulders. The terrain was rough and the soils basically infertile so that ecologically the area was poor. Nevertheless many people found the botanical, ornithological and entomological work of interest while the area abounded in glacialogical features which we attempted to map and interpret. A start was made on some hydrology. While the area has never sustained a high population there are numerous remains of settlements modified according to age, by subsequent denudation. Some of the sites are undoubtedly very old and there is much here that would repay studies on following expeditions, as would the glaciation of the area by a more competent group than our own. On the last night a "debriefing" session was held when various people explained the work which they had done, thus enabling each project to be seen in relation to the whole. A number of highly successful bivouacs were held in remote parts of the Uig hills and nearer base at Loch Tealasay—one of these causing more than the usual amount of drama! A visit was paid to Scarp on a particularly fine day while on another sunny afternoon "Rock Bottom” went to the head of Loch Resort to collect a hiking partner who arrived half an hour after the "Admiral" had given up all hope and sailed for home! The fortnight passed all too soon but fortunately our departure was more comfortable than our arrival. About half the expedition was able to travel on the "Reliant" back to Bernera, and, after being entertained to tea by Mrs. Macauley, travelled by lorry and van back to Stornoway. Our gratitude is due to all those who contributed to the success and enjoyment of the expedition—to the owners of the croft at Aird Bheag; to the neighbourly landlords; and to those involved in transporting the large and awkward pieces of expedition equipment; to George and Sheila Newhall without whom no expedition would get further than Stornoway; and finally to those members of the Society whose untiring efforts throughout the years to get every thing organized are so much appreciated, but so infrequently thanked.